I love gingerbread flavors for the holidays, don't you? This super easy Gingerbread Hot Cocoa Mix makes a gift for teachers, neighbors or friends. It's the perfect combination of cute and yummy! 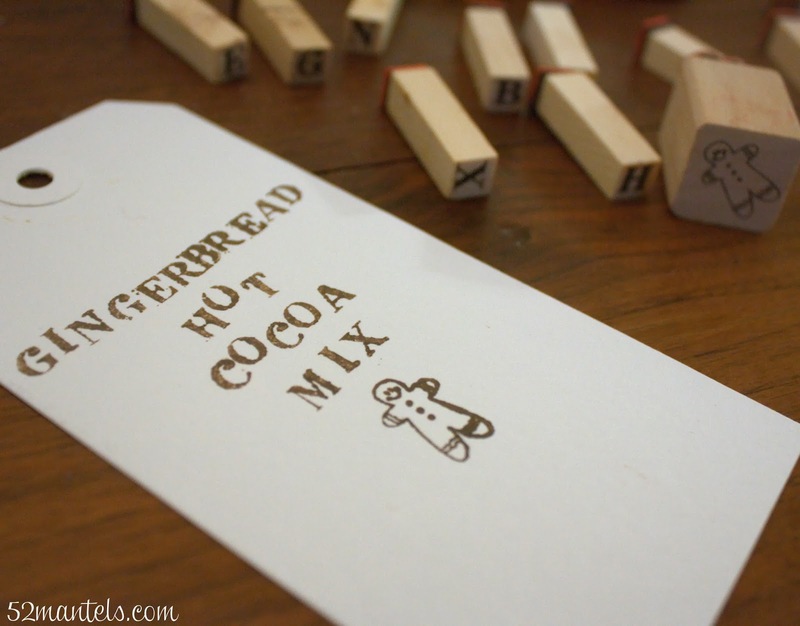 Because it starts with pre-made hot chocolate mix, it's super simple, too. And, the Gingerbread Flavored Gingerbread Men PEEPS add the finishing touch to this sweet gift! In a bowl, mix hot chocolate mix with spices. Pour into a 32 ounce jar. Add mini chocolate chips on top of cocoa mix. Place 6 PEEPS on top of chocolate chips. Package mix with gift tag and jute. To make hot chocolate: Remove PEEPS from jar and shake to combine chocolate chips with hot cocoa mix. Place 5 T. mix in 8-10 oz of hot water or milk. Garnish with one gingerbread PEEPS. This mix is so delicious and the PEEPS add the perfect decorative and scrumptious addition! You might want to buy a few extra packages for yourself :). 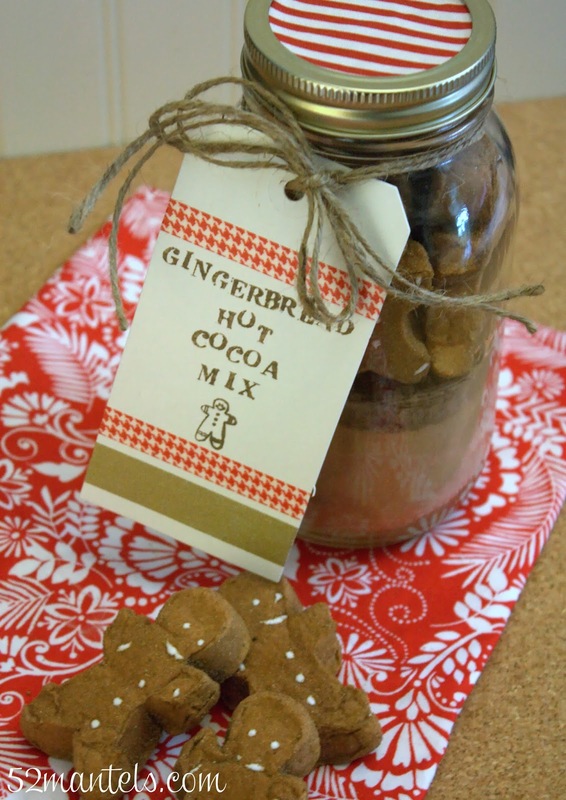 Of course, make sure you include the mixing instructions when you package your gift! I used small stamps and decorative tape to decorate the front of my tag. And, then I simply wrote the instructions on the backside. Alternately, you could print the instructions on cute paper! I hope you give this recipe a try! I just love inexpensive and cute holiday gifts! **I received products from PEEPS to review. Recipe and opinions are 100% mine. What a cute idea! I just love homemade gifts. I love this - so cute! Pinning it -- thanks Emily!! Yummy, Peep Gingerbread Men! I will be on the look out for those fun treats. 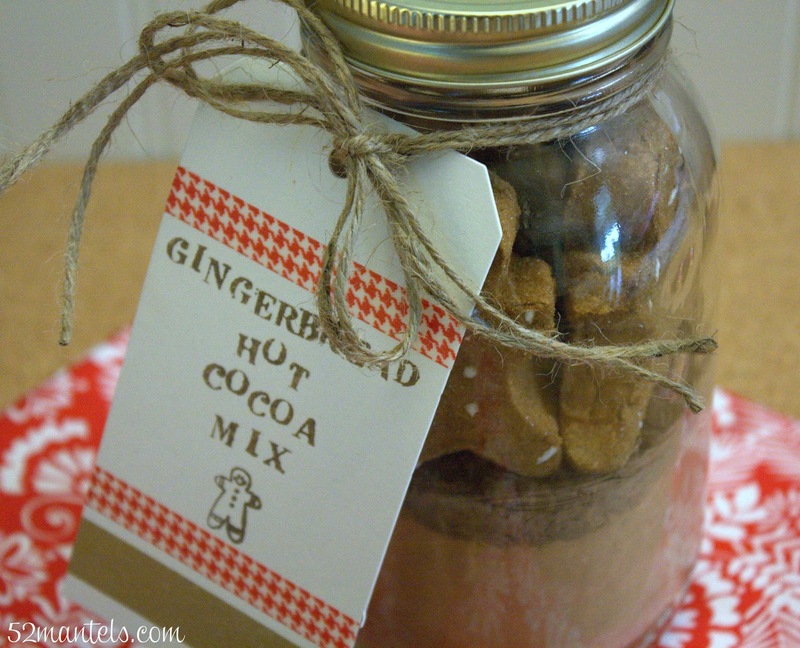 I love your homemade hot cocoa mix, what a great gift idea! Absolutely precious Emily! 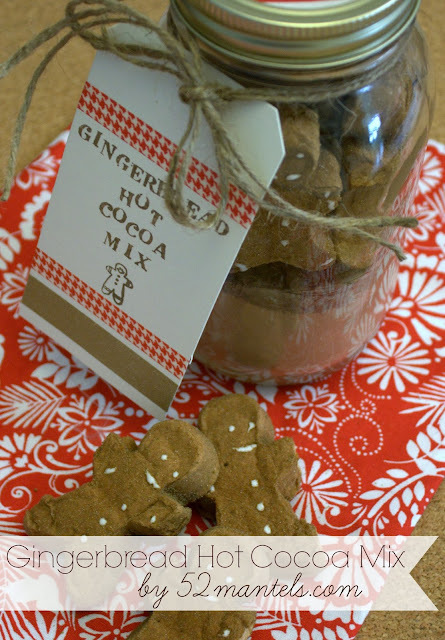 Those little peep gingerbread men are adorable! Thank you for sharing the recipe! Glad to find it. Gald to see it. Aweosme!!!! Hotmail login, Hotmail Sign up, www.hotmail.com login is a simple task. Just follow our steps and sign in easily and sign up to enjoy these services for free.